CtCCCC first competed in Last Man Stands in 2016, finishing second in the Kennington Park Wednesday/Thursday league before losing in the semi-final. In 2017 CtC won the Kennington Park Thursday league before losing in the QF of the London champions league. Fixtures, results and statistics for Last Man Stands can be found here. CtCCCC's only trophy to date came in the Rwanda Cricket Stadium Foundation indoor tournament at Lord's in 2015 in which a team of James Coe, Ed Cassels, Rory Davidson, George Dean, Jack Dillon and Will Hammond won the Natwest Trophy (pictured above). CtC finished 5th in the PlayOn Sports 2016 winter league. 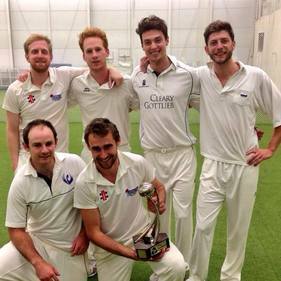 CtCCCC competed in the Battersea indoor league in 2012 - history does not relate results.